to ensure you have the equipment your customers want when they need them! 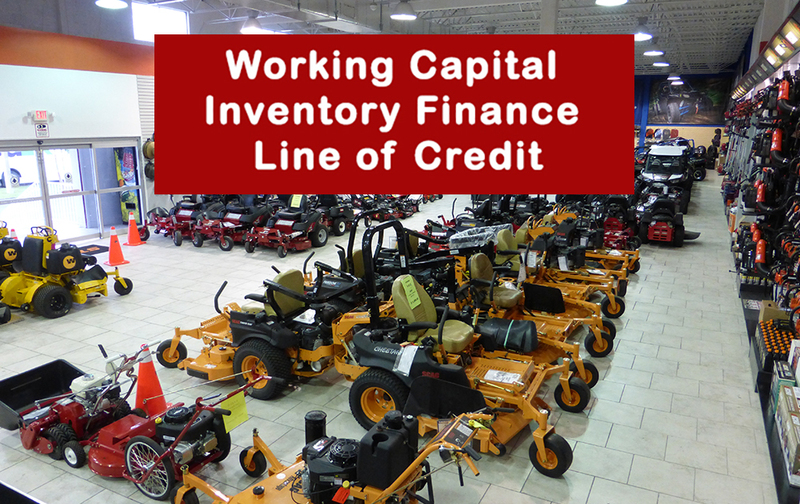 if we have a supplemental Inventory Finance Program. to operate the immediate and short-term needs of your company. to funds to help you meet your regular and seasonal financial needs. Get your money pronto. One lump sum. Competitive rates. Secure funding now. High flexibility. Low cost. for our Working Capital Programs. What are the basic requirements to qualify for a loan? business – things like revenue and when you started the company. We deduct a fixed, weekly payment directly from your verified bank account on file. What loans and lines of credit are available? We offer 3-36 month loans and lines of credit from $2,000-$100,000. Keep in mind, we may approve a loan for an amount lower than the full amount requested. Applying online is simple and takes about 7 minutes. Nope. We don’t play games and hide fees like some of the other guys. We’re on your side and won’t ever charge you for paying your loan early.